Michael Goetze and Jampal Williamson are Salty Wings. The pair - who joined forces in 2015 - are already considered industry leaders in the aerial space. 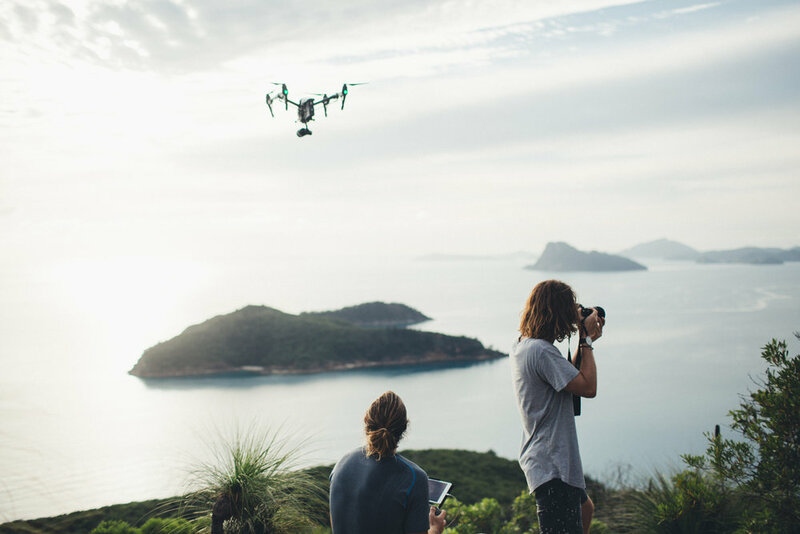 They sent their drones on a 20,000km journey along the coast of Western Australia, capturing its expansive, breathtaking, earthliness in high resolution. With an extensive knowledge of the Western Australian coastline, the duo are fascinated with photographing remote and unique landscapes. It is within these landscapes that they have developed their abstract and alluring style. Salty Wings have expanded their horizons by travelling to Tahiti, Nusa Lembongan, Norway, Italy, Iceland, The Bahamas, Utah, Oregon and Kauai. The list continues to grow. With a focus on seascapes; a mixture of vibrant water, pristine sand and rugged rocks, Salty Wings continues to search for imagery unlike anything else seen before.